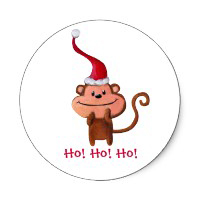 Ho ho ho, Merry Christmas (or X'mas, or happy holidays, or whatever, we don't care!) This is the joyous occasion of the year, a week of festivities spent with friends and families, and everybody should be happy! To celebrate the holidays, SIMBunch is kicking off our annual Christmas Sale with 25% off all purchases. Simply use the coupon code SIMXMAS during checkout to enjoy this incredible discount! That's not all: This sale will not end after Christmas, but on New Year's Day 5th January 2013, so everybody will have reason to celebrate! Due to overwhelming response, we have decided to extend this sale to all 12 days of Christmas! For more Christmas goodness, check out our good friends at Payplans ! Developers of the leading subscription, membership and payment extension for Joomla, they have kindly provided a list of discounts from other developers, so be sure to thank them! It's the time of the year where families come together and give thanks for the year...AND ALSO BLACK FRIDAY SHOPPING! To kick off Black Friday, SIMBunch is offering a 25% discount on all products. Simply use the couple code SIMTHANKSGIVING during checkout to enjoy the discount. Hurry, offer lasts from now until Sunday! SIMBunch Team Off For 3 Weeks. 50% Off All Purchases. We greatly regret this inconvenience to our users, but we will try to make up by having our biggest discount for the longest period of time! From now until 1 November, all products will be available at 50% OFF. Simply use the coupon code SIMBUNCH50 during checkout to enjoy this huge discount. Don't miss out on this opportunity! We will try to clear all existing support issues by the 12th October. See you guys soon! If you wish to take this chance to renew multiple subscriptions, please do some one by one. Go to your subscriptions list and click on the Renew link for one subscription. This will create a new invoice. Proceed to complete the payment on Paypal, after applying the 50% discount. Repeat this for the other subscriptions you wish to renew. This will avoid unnecessary delays in the activation of your renewals. Exciting news! After receiving countless user feedback, we did a little research and decided to release subscriptions for 6 Months (in addition to the current 12-month subscriptions). Prices are now reduced by up to 60%! We will continue to monitor the results and work with some of our most loyal users. Thank you for all the feedback! The new and complete pricing can be found here. No changes were made to any existing subscriptions, and no coupon codes are required. The much anticipated SIMGallery 3.2 has been released! This is a clean upgrade to work with Joomla version 1.5, 1.6, 1.7 and of course 2.5. Some minor fixes and changes were also made for the SIMGallery Pro add-on. We have started on the next major upgrade, but decided to release this first so that our users can carry on with their site upgrades. 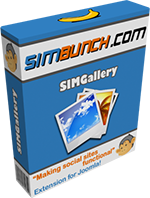 Now all SIMBunch products work on Joomla version 1.5 to 2.5. SIMBunch will also begin work on updating our site to Joomla 2.5. Stay tuned!